Yesterday was one of the best musical days of my life. Period. Thanks to the invitation from Scott Limanek (of Boston Beats and Rhymes fame), I got to man the helm at WZBC with my friend and incomparable hip hop scribe Brian Coleman. Under a photo of Tim Hasslett (his late great partner on School Beats/Funk for the Folks), I sat and chatted with Brian as we ran through 2 hours of 1970s and 1980s Beantown beats. Just as we dropped into a compilation of the old Lecco’s Lemma tapes, who should call but Magnus! It was pure magic to sit and talk to him on the phone while we both listened to tapes of him broadcasting from the same room more than 20 years earlier. Thanks internets! 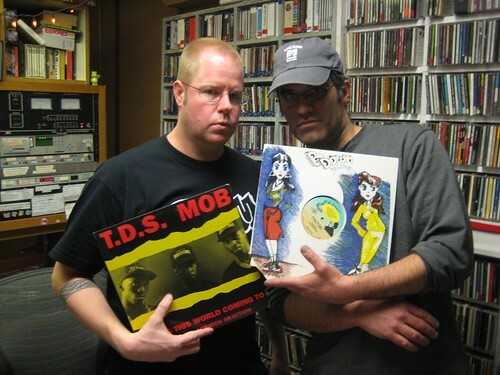 A few minutes after Magnus hung up a 20 year old WZBC station ID rolled off the tape almost like he had called it in! Perfect. The audio’s up here (Part A Part B) for a couple of weeks so dust off your tape deck and grab it while you can. Tune in today 3-5pm EST as we roll through the 1990’s and the rise of the Boston underground. Friday we will launch into the 2000’s and beyond with a visit from Chris Faraone to play some of his local favorites from the last few years. Happy holidays all. 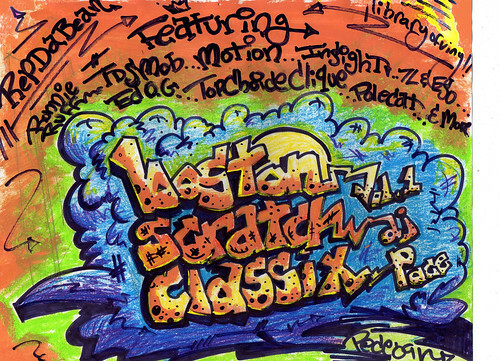 Here’s a new mix of Boston scratch classix to help you ring in the New Year. While I don’t normally include so many other people scratching on my mixes, that’s kind of the point with this one. You can probably hear the ones I added because they tend to stick out rhythmically (OR at least, that’s how I hear them). 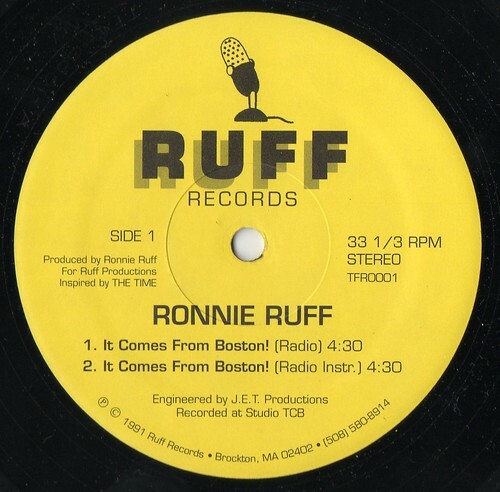 The thing begins with a Ronnie Ruff track “It Comes From Boston” which I only found a few months back. Its already a future scratch classic for sure! I can throw up a set list, but maybe its more fun to guess and dig? Here’s to more peace, love, unity and havin’ fun with the Beantown massive in 2010! Thanks to everyone who showed up on Monday for the Beat Research Rep Da Bean Night. Amazing to hang with 7L, Karma, Lyrical, Nomadik, Polecat/Brick Casey, Def Rock and the Megabug crew and many others while we listened to unreleased Lecco’s Lemma tapes, TDS Mob, T-Max and so much other incredible Boston hip-hop! We all agreed we need to do it more often. We ended the night with a surprise appearance by Def Rock and Dr. Dooriddle (of Megabug/Monstamind fame) and DJ Richie Gambles on the decks. Check them out rockin’ through a hole in the wall using the random breakbeat records I happened to bring along. Peace to the BEANTOWN MASSIVE!